Showing results for tags 'Front Office'. It's a current obsession of mine, so I figured I'd start a new thread for it rather than re-purposing old threads that deal with different topics. To review: PSE's creatives stink. (Look: I'm an old that used a young person's word.) Most recently, the Cleveland Browns put out a clever and funny Office parody. The. Cleveland. Browns. Here's hoping PSE can start doing good things in the creative fun department. Let's track their progress - or lack thereof - in this thread. As soon as the segment is on their site, I'll post it. It was a brilliant break-down of the Sabres' current state with measured and properly analyzed solutions for the problems the team faces. Sorry, I don't have the details in my brain. He said the goal-tending has under performed 5v5, that we're over utilizing low-value players, too many replacement or below-replacement level players. There's a how long does Housley get topic, and everybody knows the first panic GM move is fire the coach, but would it really be wrong to start to question JBot a little too? So the positives: Being gifted Sheary in a Penguins salary dump. Awesome gift from his old team. Got rid of Lehner and signed Hutton for what might be a bargain price. Looks like a great move. Won a lottery. Better to be lucky than good? Dahlin will be great. Everybody would have picked him. Seems to be making Rochester into a good team and the depth at the farm level seems to be trending in the right direction. Didn't dump a load of cash at Reinhart. This one might be arguable, but so far it looks smart. Negatives: ROR trade looking really bad. Berglund healthy scratch. Tage AHlLcaliber, Sobodka meh but ok I guess but nobody to fill the PP shoes or take the minutes. Skinner trade. So far a floater who doesn't want to be here. Carolina seems to be doing better without him. Kane trade. Didn't get much out of that either did we? Roster rebuilt but looking at it, the talent level is lower, nobody can score goals aside from Sheary with Jack and most of it is B grade at best. End the losing culture? Doesn't look like it, as they've fallen apart on this road trip already. Hired Housley. ??? Drafting too soon to tell. I'm not seeing a lot of genius, but we shall see in time. At this moment, aside from Arizona, I see a lot of teams rebuilding faster and better than we have. Now some of that is on Murray still but really, Ottawa was gutted and even they're doing better than us not to mention Florida, Jersey, Carolina etc . It's damn frustrating. Alright, show your cards. Who wants Botts dead? If you do, I would guess it's because of the ROR trade. Have at it in this thread. What does Botterill do with 3 2019 1st round picks? I think a lot of the answer to this will make or break the RoR for a lot of posters. So, what do you think Botterill's plan is for these picks? Edit: How do I make the votes public? Lehner gone Fasching and Delo gone Kane gone ROR gone Bogo gone soon? Maybe? KO still here with his big contract Kulikov gone Funny but his long-term legacy might come from his draft picks as crazy as they might sound. 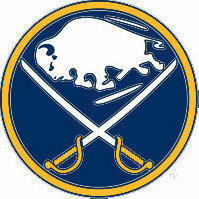 He conducted 3 drafts as the Sabres GM. Obviously Eichel and Reinhart are two core pieces he drafted from the tank, but other picks are actually showing some life despite some other horrendous Selections. 2014. Reinhart plus 3rd goalie Johansson looks to have a future here and 7th rd pick Olofsson has finally signed and could be a real find as a scoring winger. 2015. Eichel. 2nd rd pick Guhle looks to have a bright NHL future and is our top D prospect not named Dahlin. Also 4th rd D Borgen also inked an ELC after an excellent college career. 2016. Nylander at the top is a huge ? And if he becomes a bust that will taint TM’s legacy future especially with Segachev still on the board. However, 2nd rd pick Asplund , the key to the lousy Kulikov trade looks like a legit NHL forward in the near future. Also 3rd picks Pu and Fitzgerald also could have an NHL future. Pu is set to start his pro career in Rochester. That’s a possible 10 NHL players drafted over 3 years. If that comes to pass, we may have to re-evaluate at least the draft piece of his legacy. To bad he didn’t keep all the picks he had in his quiver.